Trucking business is profitable. There are innumerable business opportunities springing up in your niche market just as you are thinking of setting up a trucking company. 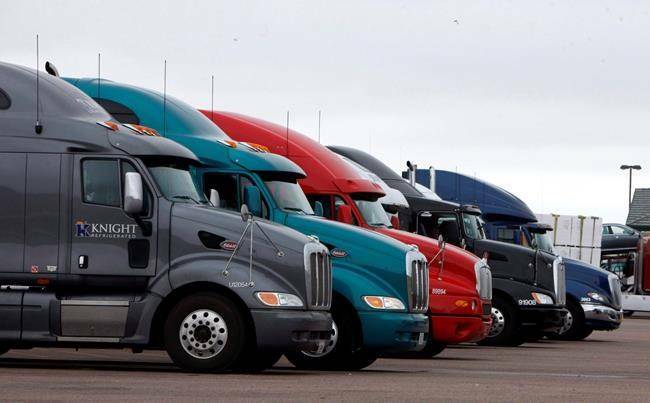 Thousands of new trucking companies get registered every year. However, many of them fade away soon as they fail to fight tough competition from new and established big companies. 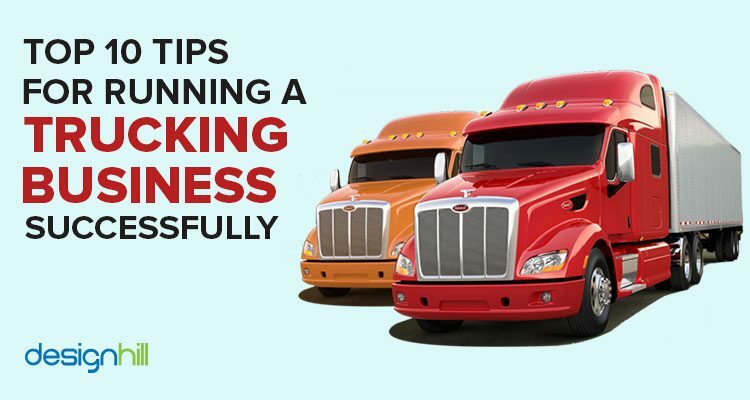 So, if you are planning to start a successful trucking business, take note of your competitors and make appropriate strategies to counter them so that you grab your market share. Market for trucking ventures is vast. In the U.S, according to forbes.com, trucks were responsible for transportation of 14, 547 million tons worth of cargo in 2013, which was 73% of all cargo weight transported in the year. American Trucking Associations in its report estimates that in the U.S, trucks moved 10.42 billion tons of freight in 2016, which was 79.8% of the country’s freight bill. The vastness of American trucking industry can be gauged also from the statistic that there were 33.8 million trucks registered in the country for business purposes and 7.4 million Americans were employed in trucking jobs. Since you are planning a trucking startup, note that most of the trucking business registered in the country operate on small scale. First, find out how you will get funds. You will need enormous amount of funds even if you start on a small scale. This is because trucks are expensive vehicles. Not all can buy trucks from own money. So, be prepared to get a huge amount of bank loan, or funds from elsewhere. Find out if you are qualified to get a big loan from financial institutions. You must arrange for all the necessary documents and a business plan to convince banks about your repayment capability. Many owner-operative financing alternatives also are available. 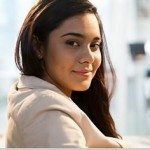 Know if these suit better to your financial needs. You will need funds not only to buy a small fleet of trucks but also some equipment for your company. Decide if you want to lease equipment or buy it. Consult an expert to know which alternative will be best for your conditions. There are many trucking segments such as currier trucking, food trucking, refrigerated trucking, and many others. Since your resources of startup are small, picking one niche will be a wise move initially. Once your company is financially stronger, you can add more services to your repertoire. An advantage of choosing a precise niche is that you can focus your company’s all resources for a faster business growth. Your potential clients of trucking business will more often see your company’s logo. In fact, the logo will appear on your advertisements and marketing campaigns. An ordinary and cliched logo fails to make any impact on audience. But a well designed unique logo makes a lasting impression, which helps in winning new customers. For example, if choice of colors, typeface, and symbols is strategically made in creating a logo, it successfully drives potential customers to a company’s business. Your unique logo can draw attention of people toward your business. Designhill, which is a prominent graphic design marketplace, can help by sharing your graphic design job with designers from across the world. Cost of creating an impressive logo at this platform is very low and within your small budget. Just start you logo design contest and get your winning logo in a short period of one to two weeks. Many new trucking companies use a load board where they get customers by bidding lower prices for their services. Bidding is advisable in the initial phase of your trucking company. But bidding is extremely competitive. Since you have to bid the lower prices than the other trucking companies, there is very little room left for profits. Moreover, load boards do not usually provide long-term relationships with customers. Also, you should be bidding low enough to win it and at the same time it should be high enough to earn you profit. By building your solid list of loyal customers, you are on the right path to start an awesome trucking business. Instead of depending on load boards, start making sales calls. You can gradually build your own strong customer list through hard work. Make efforts to secure contracts with local grocery stores and other clients for more profits. Your website is a window through which your clients can see details of your trucking company’s business. People mostly look for a company’s website before buying its products or services. Your clients will also first visit your trucking business website to see what type of trucking services you offer. Your web pages, therefore, must provide all the relevant information that clients usually seek from business. Make sure that the site has crucial pages such as about us, contact, home, services, your prices, testimonials, and other pages. But make also sure that your website design is not only unique but user-friendly also. Use images of your business and employees to fill your clients with confidence in your company. Many startups take business cards lightly, which is a wrong thinking. Business cards are in fact one of the most effective tool to initiate people toward a business. A misconception about these cards is that they are meant only for sharing of contact information. It is true that the visiting cards have details such as your phone number, email address, fax number, and other contact information. But a professionally designed card makes the card memorable for the recipients. 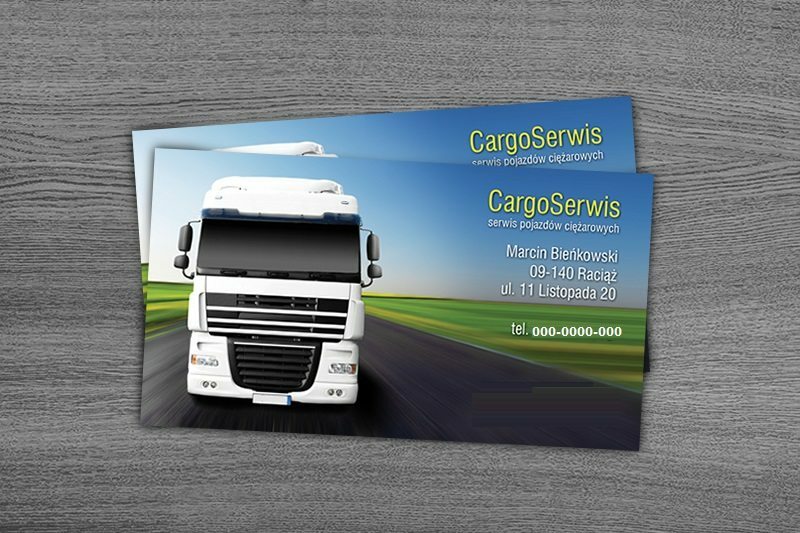 So, whenever your clients need your trucking services, they have your business card in mind with contact details. This means your business card design must be a unique concept with right choice of colors and typeface. Your logo on the card will authenticate your contact information. 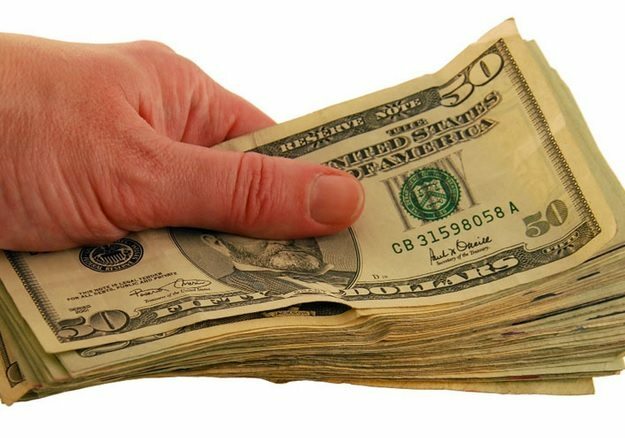 Running a successful trucking company also implies that you must ensure a regular flow of cash in the initial phase of your business. Your trucking company will take many months before it starts earning regularly. Do not forget that clients generally take two to three months for making final payment and clearing all dues. So, despite getting the customers and delivering your services, you may get the payments after many months have passed. This means that you must have enough cash in hands to meet daily expenses of your company and to pay salaries of your staff. You will need cash to meet expenses like repairs and fuel. You can get immediate funds to have working capital from a factoring company. Many such companies offer working capitals to startups on certain conditions. There is hardly a business that is not on social media. Even small businesses want to enhance their social media presence for reaching to increasing number of people. For example, five to six tweets daily about your startup trucking company can generate a lot of awareness for your business. Your Facebook page with trucking images and relevant content can engage many potential customers with your company’s services. Similarly, your LinkedIn page will be seen by thousands of people who are looking for professional trucking services. But your social media page should be unique, engaging, attractive, and interacting to keep visitors glued to its content. Post your content to your social pages telling about new developments happening in your company. Invite suggestions from your visitors as part of your strategy to engage them with your services. As a startup with a limited marketing budget, your trucking company should be looking for cost-effective marketing ways. Flyers are thin sheet of papers with a lot of detail about a company and its products or services. It is a quick way to generate a word of mouth for a business. All you need to do is to stand at a busy and crowded place like a roadside and start giving your flyers to people passing by. 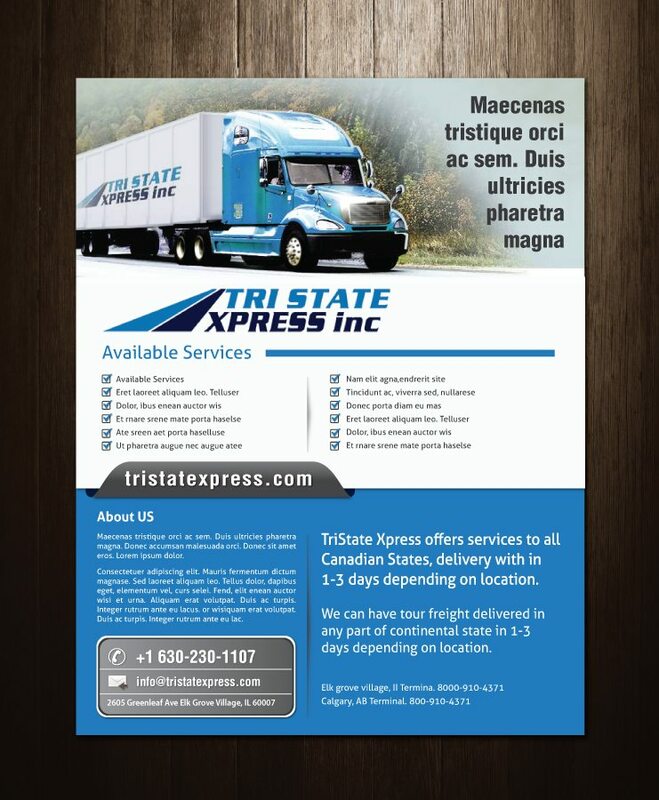 When creating your flyer design, use a big photo from your trucking business and then some details in text about your services and prices. 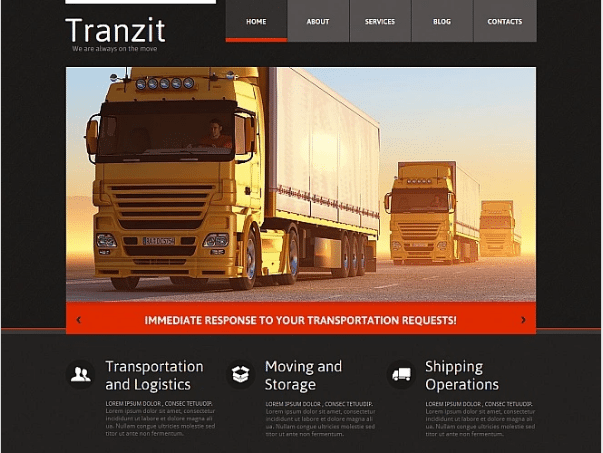 Thus the handouts will offer salient features of your trucking services at a glance to people. During the course of running your trucking business, you may be making mistakes, which is normal. But a secret to conducting a business successfully is to learn from mistakes and make improvements. You should invite suggestions from your clients on social media and also on your business website. Pay attention to concrete suggestions regarding improvements in your services. Consult some experts of trucking industry and see what they suggest to move forward in your market. To conclude, your trucking company should focus only on a particular trucking niche so that you can fully utilize your limited resources. Get enough funds from banks and other sources, and maintain a good cash flow position to meet your company’s routine expenses. Then, make sure to have a memorable business logo, website, business cards, and a dominating social media presence for visibility of your company’s trucking services. Next Next post: How Colors Can Bring Desired Effect In Your Design Process?